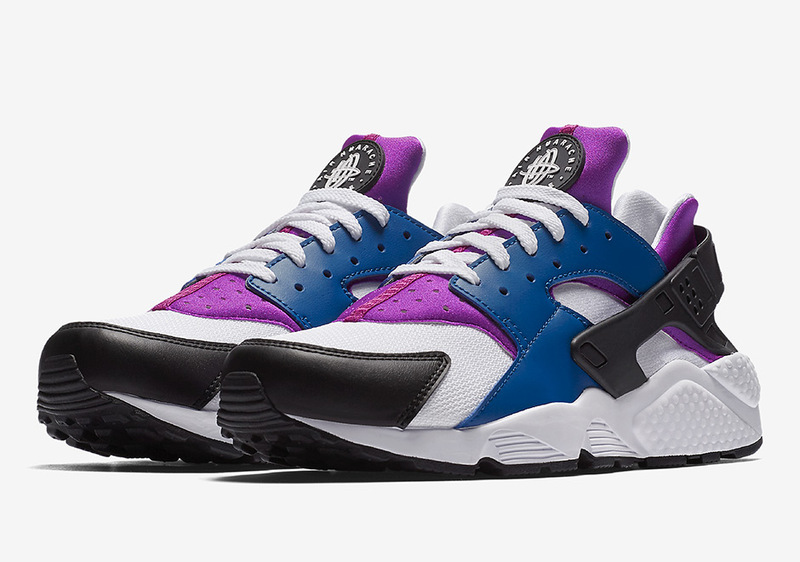 No colorway is more recognizable on the shoe than the white, black, purple, and blue combination seen on the courts back in ’92, and that’s exactly what this new release of the Air Huarache runner borrows. The colors may be rearranged just a bit, but the reference to the Flight Huarache is obvious. Pairs are available now at select Nike Sportswear retailers and Nike.com.